Originally published in 1912, this book provides an extensive review of Gospel theology and Christology through the lens of the pseudepigraphical Psalms or Odes of Solomon. 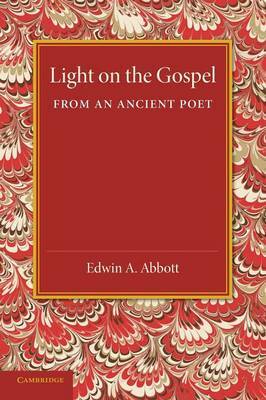 Abbott compares the language of the Gospels and other early Christian writings with the Psalms, and provides a translation of them, with alternative readings, at the back of the book. This richly detailed book will be of value to anyone with an interest in Christian readings of Jewish writings.